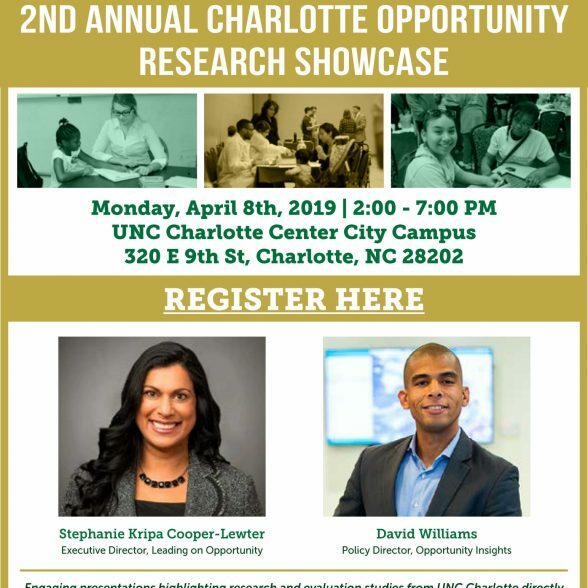 Leading on Opportunity joins the Second Annual Opportunity Research Showcase highlighting national and local research and evaluation on topics, issues and recommendations related to the Charlotte-Mecklenburg Opportunity Task Force’s Leading on Opportunity Report. 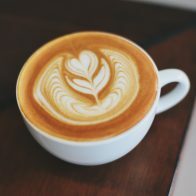 By the end of the showcase, Charlotte community members interested in the social and economic mobility of its citizens will have a deeper understanding of strategies, programs and actions that positively impact or serve as barriers to social and/or economic mobility of vulnerable populations. Community members will also make connections across fields to better leverage success of these strategies, programs and actions. Leading on Opportunity Executive Director Stephanie Cooper-Lewter will provide the opening plenary and Harvard Opportunity Insights Policy Director David Williams will provide a keynote presentation.